On a recent trip to India we flew to Delhi and stayed over night stop to recharge and sleep after a a long flight. The next day after an early morning breakfast we set off on a long drive to Haridwar which is in district of Uttarrakhand, North India. The drive including stops for lunch was about 7 hours and we arrived in Haridwar close to 4.30 in the afternoon. Haridwar is commonly known as "The Gateway to the Gods". It is amongst one of the seven holiest cities in the world. It is home to the river Ganges, which starts its flow from Gaumukh, Gangotri Glacier, 4100 metres above sea level. It enters North India at the City of Haridwar. Pilgrims from all over the world flock to this holy city to offer prayers to the Ganges. 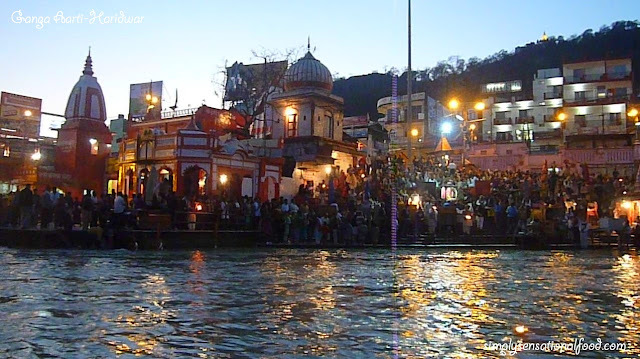 The river flows through Haridwar and it has many ghats, the main one is Har ki Pauri which translates to "Footsteps of Lord Shiva" The main area around Har ki Pauri is a ablaze with sages, sadus (holy men) in orange robes and long hair. Each Evening at sunset devotees offer prayers to the Ganga Maa (Hindus refer to the river as the mother). Oil lamps are lit and set to float in the river while priests offer prayers to the Ganges by circling large oil filled lamps whilst reciting the holy prayers. The ritual is beautiful and truly mesmerizing. We too took part in this beautiful ceremony, which was truly enthralling and spiritual. The start of our holiday was indeed blessed with gods blessings. 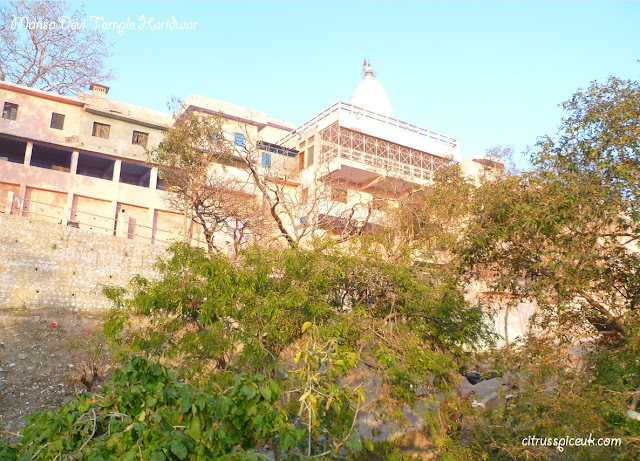 There are more temples in Haridwar than one can keep count of but we visited the Mansa Devi Temple which is situated on the Bilwa Parvat on the Sivalik Hills overlooking the city of Haridwar. 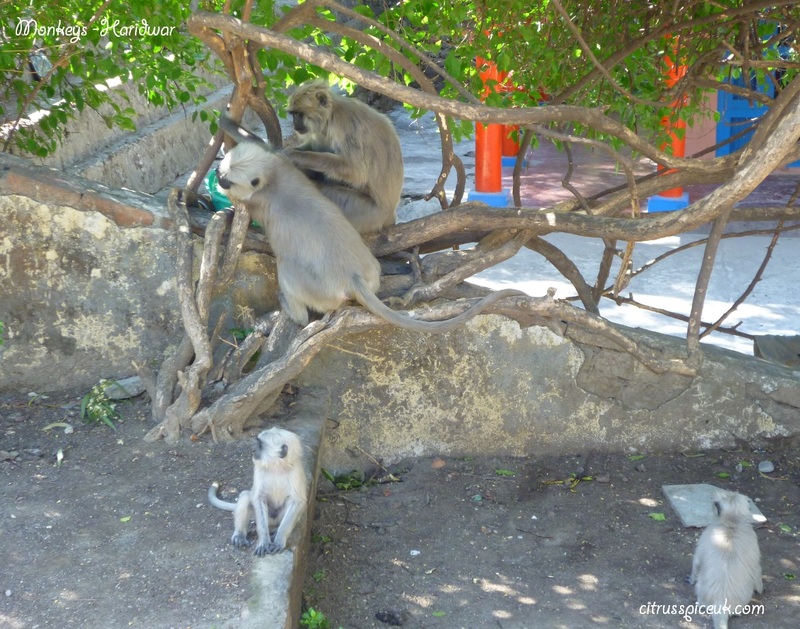 The hills are home to many monkeys that habitat there. 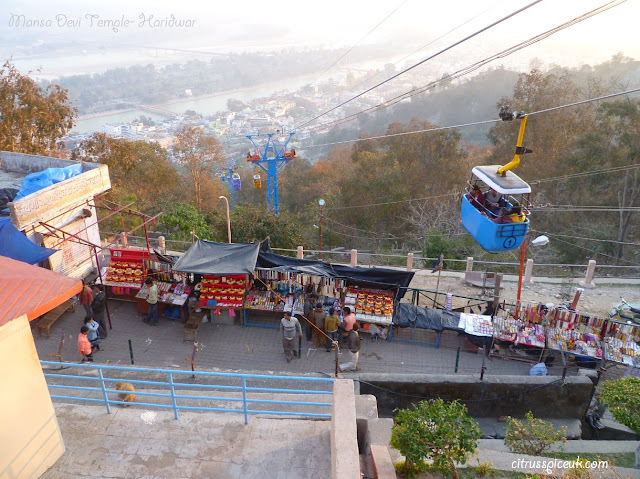 You can reach the temple by walking or by Udan Khatola a rope way that has cable cars carrying people to the temple. The ride offers good views of the Ganges and the city of Haridwar. At the temple devotees and visitors can offer prayers to the goddess Mansa and tie a sacred thread to a special tree in the temple to fulfill wishes. The walkways to the temple are lined with vendors selling souvenirs and platters of worshiping items such as coconuts, flowers and offerings. 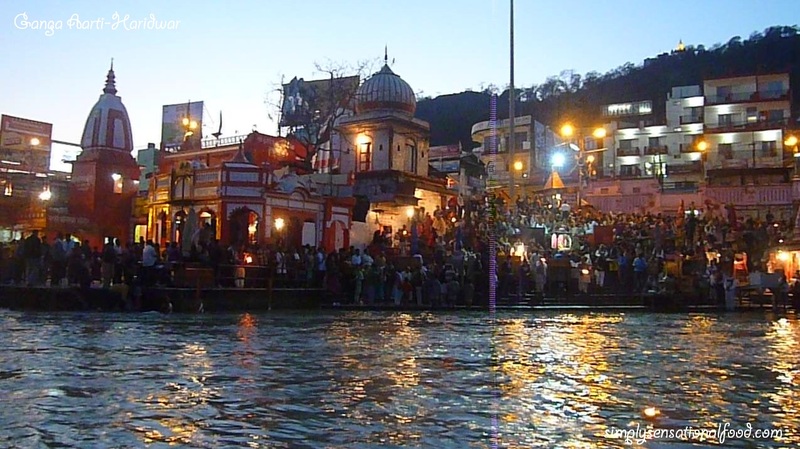 Har ki Pauri Har ki Pauri is lined with many hotels and guesthouses. 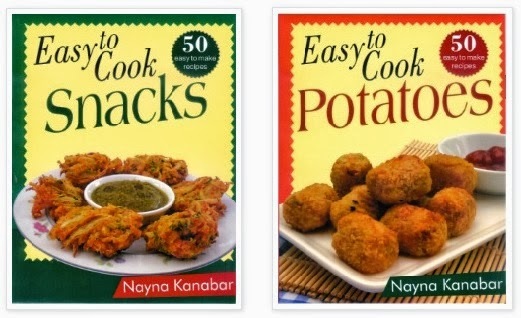 They are in the lively hub of Haridwar and very near the the main shopping area- Moti Bazaar. Moti Bazaar is made up of entwining narrow streets that are packed with food stalls and street vendors selling an array of religious goods, utensils and prayer accessories, souvenirs, handicrafts, clothes and artificial jewellery. The narrow streets are very lively and extremely packed with shoppers, pilgrims and you have to really dodge in and out of the crowds. Leading from the Moti Bazaar is the upper road market where you can find clothing shops, house ware shops and bedding too. The whole experience is very enjoyable, the streets are very colorful and there is plenty to buy and of course you must haggle to get the best price.The only negative side is that its heartbreaking to see the number of young children and holy men begging for food and money. You can offer to buy them a thali from the street food vendors along the Har ki Pauri. Each plate of food is approximately eighty rupees. (that is about one pound). 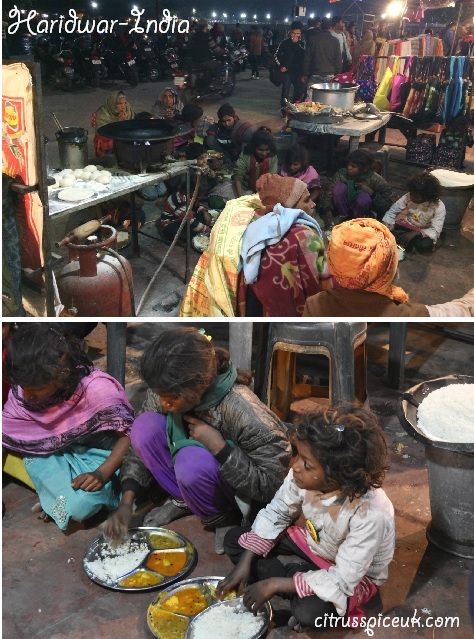 It is common practice amongst visiting pilgrims to offer to to feed these unfortunate people as most hindus believe that the gift of food is the best charity one can offer. We too carried out this ritual, the kids just sat on the floor out side the food vendors, whilst they were served a thali of hot piping food. It was really satisfying to see that they relished the food with true appreciation. In Hinduism it is believed that one must in their lifetime visit the holy city of Haridwar and of course take a dip in the Ganges. It is thought that bathing in the Ganges will wash away your sins and purify the soul. Since I practice Hinduism, we also wished to follow this belief and take a dip. At the bathing ghats there are steps that lead to the water, unfortunately in February the temperature in Haridwar is not warm, and the Ganges water was icy cold and absolutely freezing. It was not advised to fully immerse in the water in fear of catching pneumonia, however we did manage to dip our feet in which is thought to be good enough. 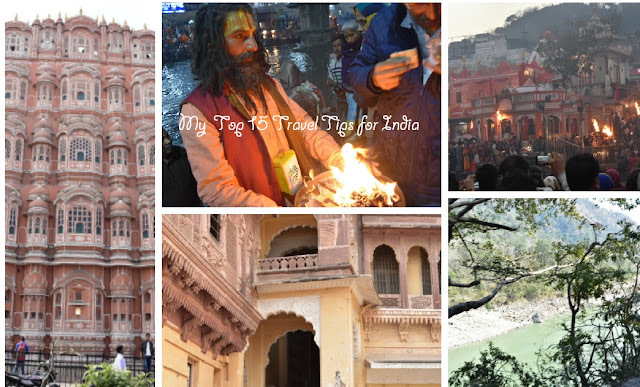 There are many more temples to visit in Haridwar and also a Tiger Reserve which we did not have time to visit since we were on a tight travel schedule. I could have easily spent a whole week in Haridwar just enjoying the spirituality of the place. 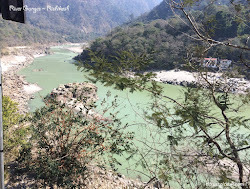 Our next stop is Rishikesh which I will feature in my next post. This is such a beautiful recollection Nayna - what an experience! This looks like such an incredible experience. I hope you had a relaxing time! How lovely you are creating lovely memories to look back on. I wouldn't have thought (for some reason!) that the Ganges would be freezing - even if it was February when you went! Wow, what an amazing experience! I would love to visit India one day. So much history. Nice pics.Very interesting post.I am glad you had such an enjoyable experience. What a beautiful journey you're on! Thank you for sharing as it's not somewhere I will probably get to visit in my lifetime. Haridwar reminds me of my trip to Varanasi which took place almost 3 years ago. I remember doing the same flower rituals and seeing all the sadus. I've never been to India but it sounds like an incredible place to explore. I want to visit India and explore it and learn the country's culture as well. Surely your experience is one for the books! Gosh what a fantastic trip Nayna. So many things to see and as always with India it seems, everything is so colourful. I think dipping only your fee in the Ganges was very wise. Wow this sounds like a truly amazing place to visit, full of spirituality and beauty. I love the giving of food as a gift to the children, a beautiful idea. Sounds like a very spiritual journey. The scenery is beautiful and we'd love to visit for all the colours and sights! It looks an incredible place to visit, very spiritual and beautiful. Looks like you had an amazing trip! I'd love a chance to go to India and experience it for myself! Sounds like a fun trip. Love your photos. What an amazing trip. I'd love to visit India some day. I bet the views from those cable cars are wonderful although I'm not sure I'd be brave enough to go on them. 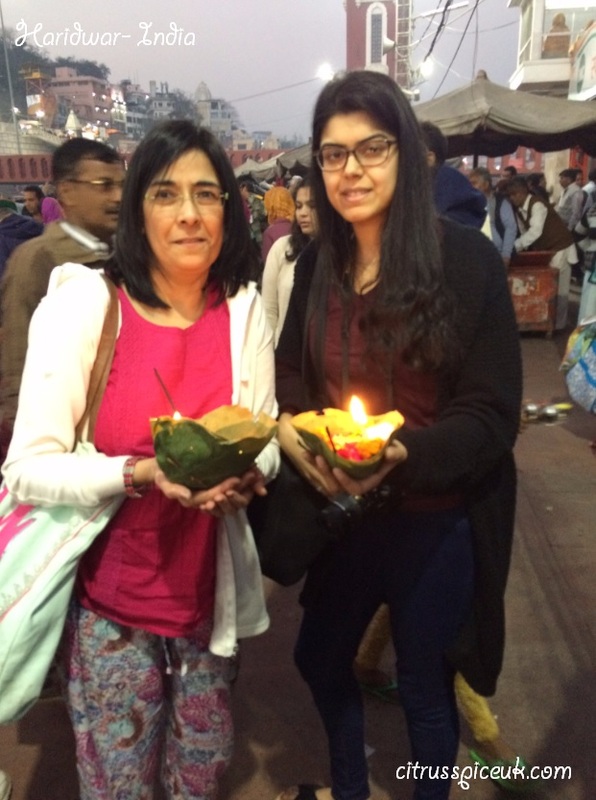 It must have been lovely for you to visit the temples and dip your feet in the Ganges - even if it was cold! Wow this looks like a lovely place to visit, what a wonderful trip! I really want to go India sometime soon. The flights are also so cheap! I haven't heard about this place yet in India. Thank you so much for sharing a glimpse of your adventure to Haridwar. It sounds like a very lovely place for cultural and spiritual visits. After reading about Haridwar, I want to go back! I went with my mum and dad when I was 13 or 14. At that time religion was not too appealing. 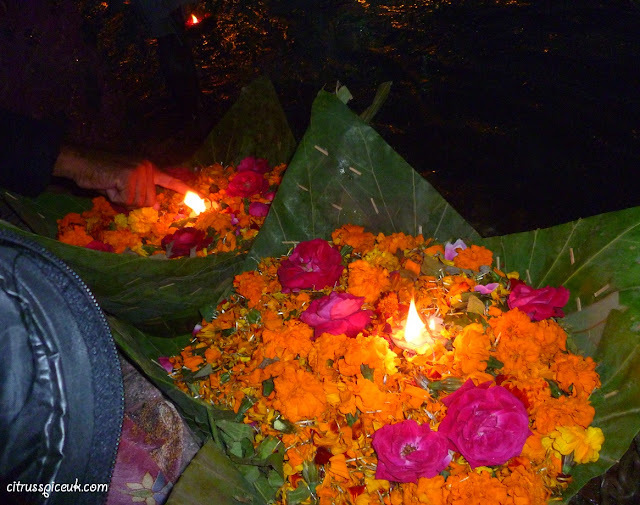 However, we did fully immerse ourselves in the icy cold waters of the Ganges and took part in the arti. I would love to visit India one day! Wow, it looks enchanting and amazing. Those cable cars would terrify me - but worth it for the views! Your trip looks incredible, I really want to visit India. India is somewhere I have always wanted to visit and your post has made me want to go even more... one day. How nice that you were able to experience such a lovely event - very nice post and so detailed, also loved the photographs! You are so fortunate to experience this wonderful country and its traditions. (so envious). 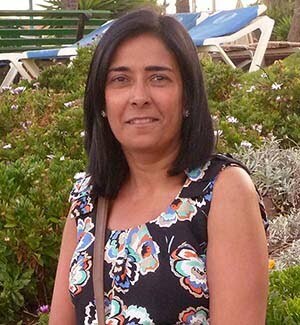 My children have Indian heritage, and I have always wanted to go. Not sure if I will ever make it. I imagine it is very spiritual and very good for the soul. looks like you had an amazing experience there and I wanted to visit there too. My brother in law and sister in law live in Haridwar and we have visited there several times. I can confirm that the water in the Ganges at Haridwar is freezing cold even in the height of summer. I love visiting, and as you say one of the nicest events to witness is the little lighted boats floating down the river.